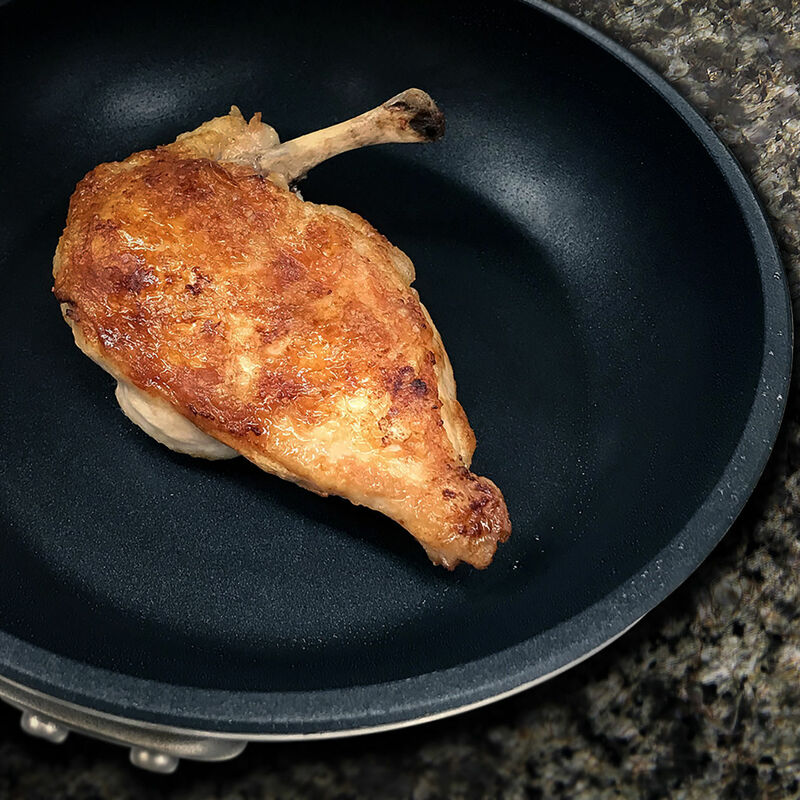 Innovative Turbo Pot® FlamePro™ Nonstick Fry Pans combine speed and strength to deliver a high-performance cooking experience like no other. 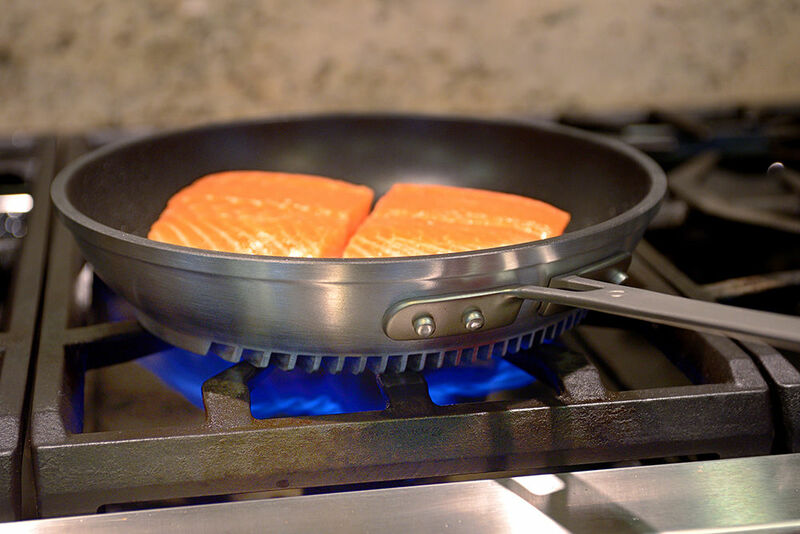 These energy efficient fry pans are constructed of commercial-grade aluminum and feature our patented heat exchanger technology—equipping them with precision heat control and heat-up times that are 30%-50% faster than standard cookware. 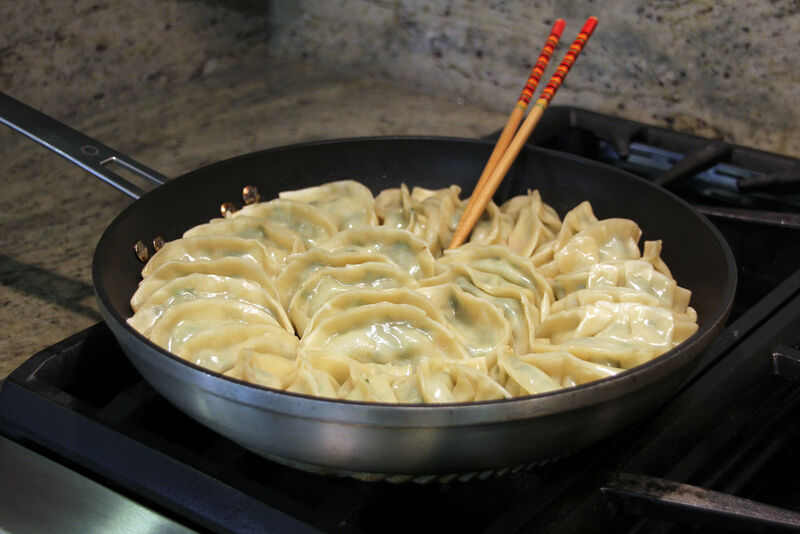 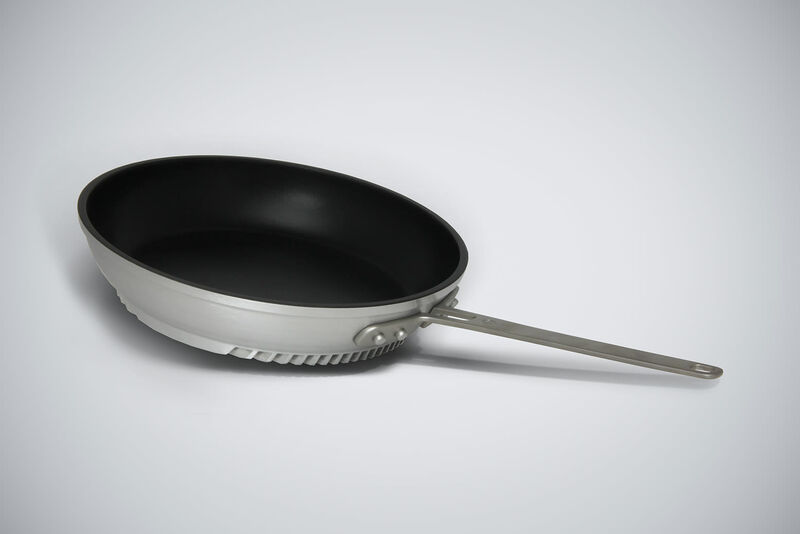 Cook confidentially with the convenience of professional grade nonstick coating inside the pan. 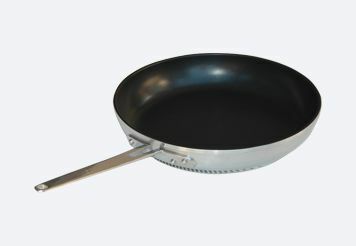 This triple-coated (PFOA free) nonstick system is designed and specially selected for heavy-duty use and long lasting reliability. The sturdy four-rivet construction of the handle gives full support in even the most demanding of tasks at hand. 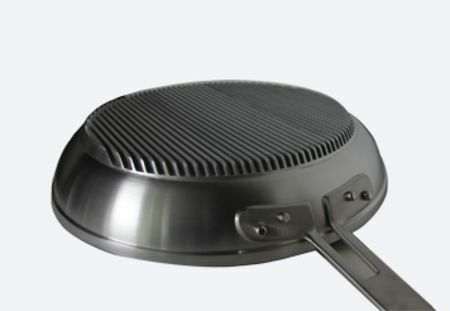 Highly conductive heat exchanger “fins” at the base of the pan offer superior heat distribution over standard cookware, and even the aluminum core designs of traditional plied cookware. 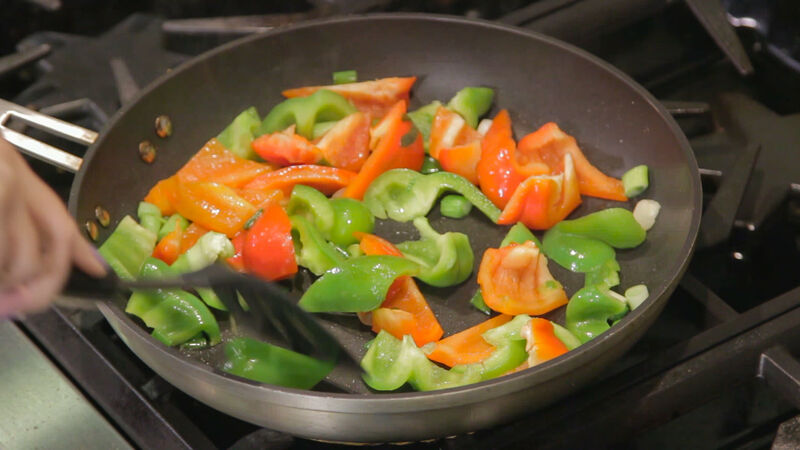 Hot spots that can lead to burned or undercooked food & ruin meals are virtually eliminated—helping your food come out more consistently than you ever thought possible. 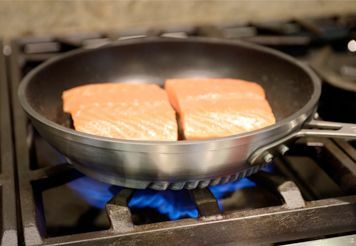 Their excellent thermal properties deliver powerful heat with rapid response and minimal heat recovery times required for gourmet meal making. 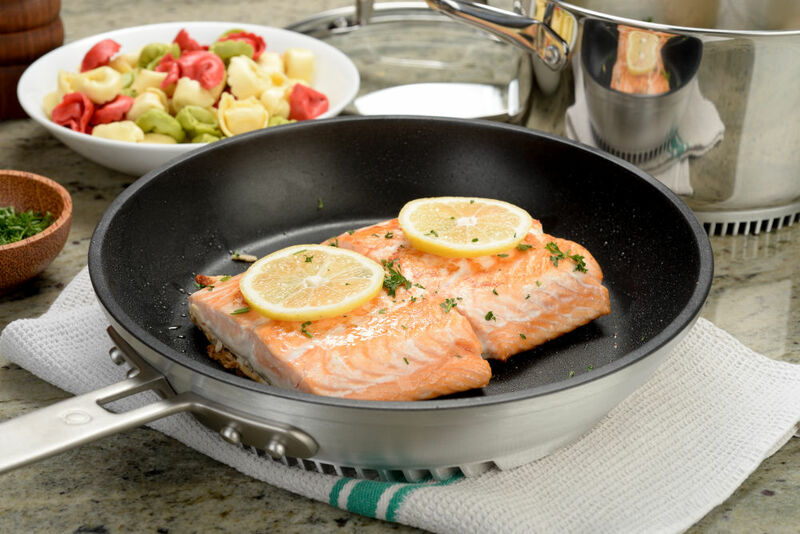 Enjoy the ability to beautifully sear back-to-back steaks, evenly simmer sauces, and sauté fruits and veggies like a pro. 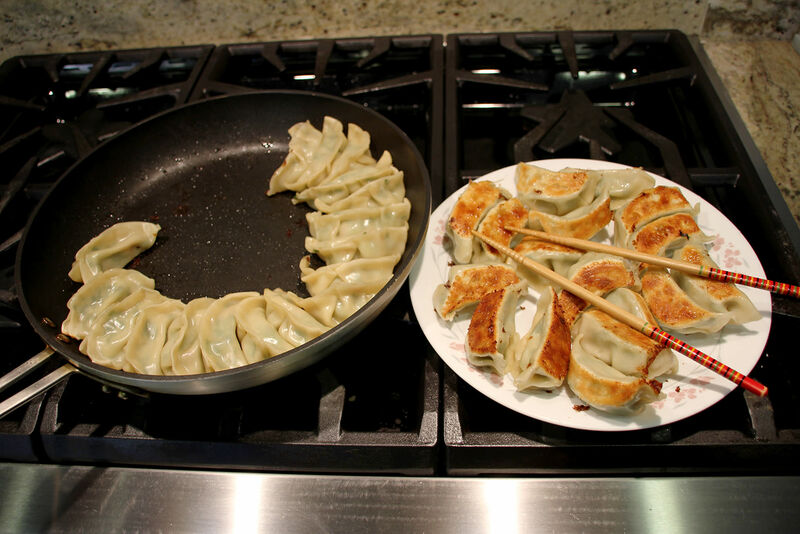 Achieve incredibly even browning and gorgeous caramelization so picture perfect you will definitely want to share. 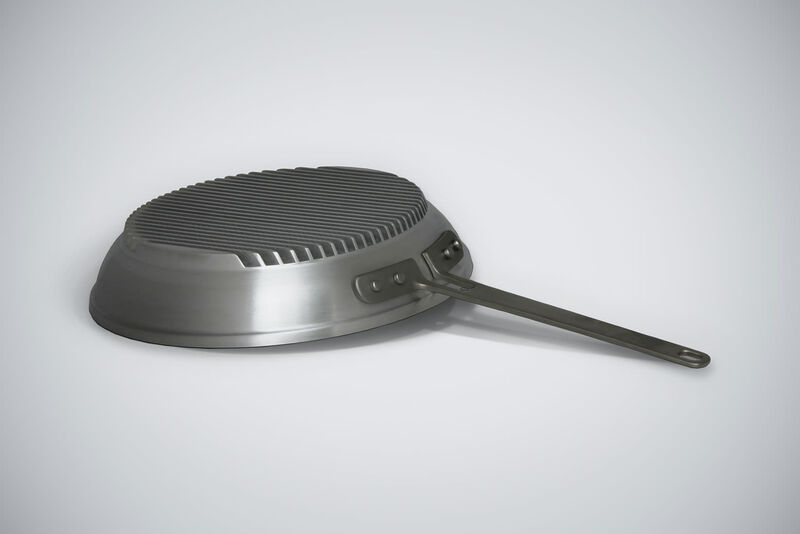 Accelerate your cooking with this piece of high-performance engineering for the home chef!